'Teamwork.. An eight letter word which can change a whole situation, good or bad.. Once there was a group of kids who was going to play a cricket match. Everyone had to bring the things used in a professional match and everyone did the same. Now when everyone got something or the other, it created a dilemma about the team member's selection and they started discussing the same and soon that discussion turned into an argument as one or the other wanted to be a captain and select their team members... They fought and fought but couldn't get any positive results and they decided to play the game anyways they wanted, which was a mess of course! That was a negative way of handling a team which that being a team was not one. Meanwhile they were playing their 'so called game' they heard a woman giving her child their example as a bad team which didn't even know how to behave as a team. Now when they heard that , they realized their mistake and one of the team players gave an idea to sort the issue and everyone decided to have a calm discussion or a chit round which would decide the captain and they soon got their captains.. It turned to be a great match without any judgements as they were only having fun and learning. 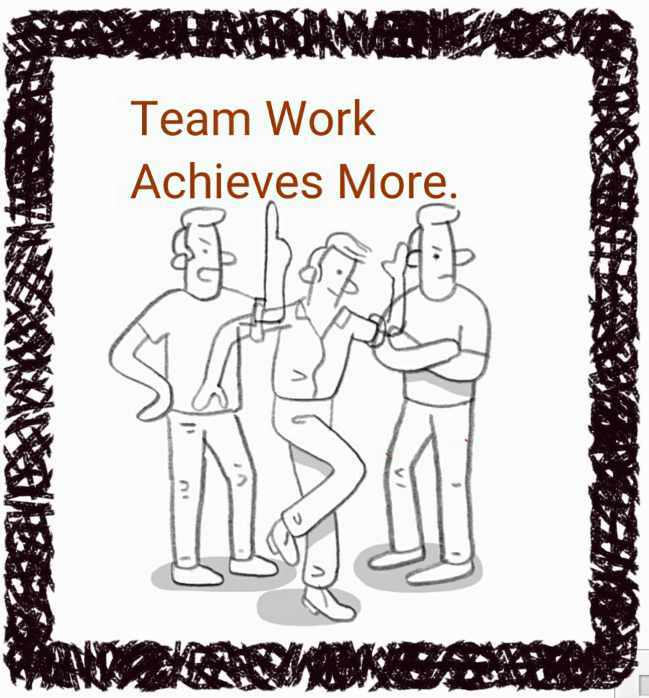 The very first thing in a team is, there is no 'I' in teamwork. It is true that 'united we stand, divided we fall'. 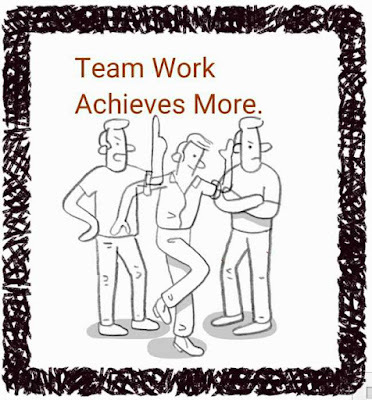 So a successful team is only formed when one keeps all differences aside and plays as one. So, individually we are one drop but together we are an ocean...!